TTS messages generator, with background music. 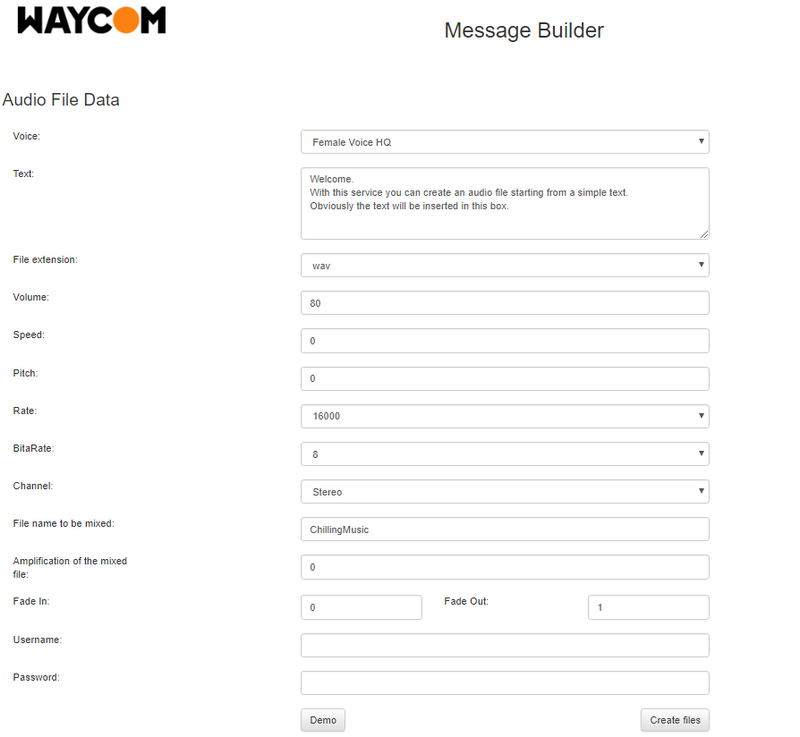 Waycom has created some new tools to automatically generated welcome messages, based on multi-languages and multi-voices speech synthesis. The messages can be characterized by different voices and modified in terms of: volume, speed and tone. The messages can be “mixed” to music track…. Fade In and Fade Out can be automatically managed. Instead the background volume can be configured. Web service to be integrated with the applications, like PBX and IP-Centrex, IVR, Call Center and so on.